Size and time are fixed parameters in empirical space; in film they become variables. Actual Size Real Time is a collaboration between Julie Pfleiderer and Miriam Rohde. They realize filmic portraits of architecture that are not only interested in what built space looks like but also – and most importantly- in how it can be looked at. 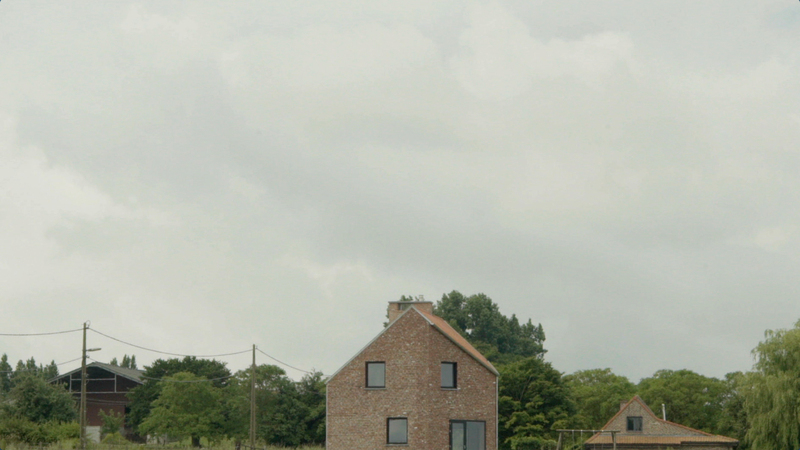 For their first film, Rohde and Pfleiderer teamed up with with four young Belgian architecture practices. Partial Views features five different buildings which are similar in some regards; they are residential projects in various degrees of completion which are located somewhere in Flanders. However, the aim of the film is not to render a distinct impression of each building. Partial Views is mainly about looking at and from these houses. This looking is not neutral, linear steady or ideal. It is affected by the circumstances: interrupted, repetitive, forgetful, curious, concentrated or distracted and last but not least, mediated by a technical device, the camera.